View more details about our Junior High and Senior High classes for teens in 6th-12th grades. Families of 6th through 12th graders often choose to attend the 9:15 am service in the Worship Center together. 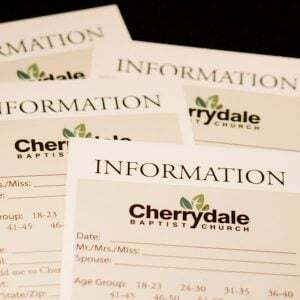 During the 11:00 am service, teens meet for their own Sunday class while parents attend one of our Sunday Classes & Electives or serve the Cherrydale family.